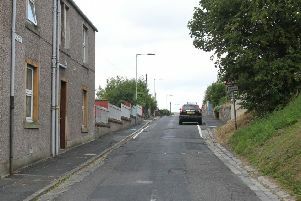 A baby boy is believed to be fighting for his life in hospital following a reported dog attack in Hawick. The youngster, said to be just six weeks old, is described as being in critical condition after being rushed to hospital yesterday, April 11. The alarm was raised at around 4.30pm yesterday, April 11, and both police and ambulance crews were sent to the tot’s aid at a house in Hawick’s Burns Road. The breed of dog involved in the reported attack has not been disclosed.